CANBERRA – July 10, 2017 – The Australian Defence Force (ADF) has selected Northrop Grumman Corporation (NYSE: NOC) to provide systems that will expand Australia’s ability to fully realise its investment in the most advanced U.S. military satellites and increase communications coverage, capacity and connectivity for Australian troops and commanders worldwide. Ian Irving, chief executive, Northrop Grumman Australia, and Rear Admiral Tony Dalton, Head of the Joint Systems Division for the Australian Defence Force, sign the Joint Project 2008 Phase 5B2 contract. Under the contact, Northrop Grumman will deliver a satellite ground station at Wagga Wagga in New South Wales and a wideband satellite communications network management system that supports home station and deployed forces. 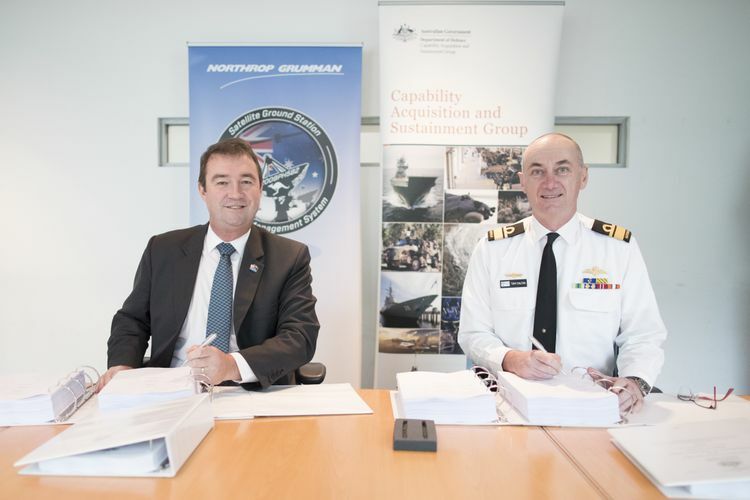 The ADF’s Capability Acquisition and Sustainment Group awarded the $AUD 223 million contract to Northrop Grumman Australia last month. Australia joined the Wideband Global SATCOM (WGS) system program in 2007, providing funds to expand the constellation in return for a worldwide share of WGS bandwidth. Joint Project 2008 is a large multiphase project to deploy an integrated wideband satellite communications (SATCOM) system for the ADF. Under Phase 5B2 of the program, Northrop Grumman and its partners ViaSat Inc. and Optus will deliver a satellite ground station at Wagga Wagga in New South Wales and a wideband SATCOM network management system that supports home station and deployed forces. The ground station and network management system will be integrated into the WGS constellation of highly capable, secure military communications satellites. 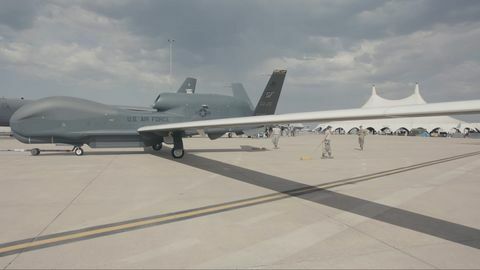 Northrop Grumman will provide a network management capability aligned with and functionally similar to the one developed for the United States that successfully manages and monitors the WGS system. It will be complemented by the proven performance of the ViaSat dual-band satellite terminal and the Australian operating experience of Optus. “Our team of Northrop Grumman, ViaSat and Optus will provide the ADF a comprehensive, mature, proven solution for taking full advantage of Australia’s investment in the WGS global communications system with expandability to meet future needs,” said Ian Irving, chief executive, Northrop Grumman Australia. Operating out of Orlando, Florida, Northrop Grumman has been providing the United States with satellite communications software tools for nearly 20 years that are critical in the activation and operations of the nine WGS satellites in orbit. The company’s Satellite Communications Operations and Planning Element (SCOPE) aligns with the U.S. system and provides an integrated operations and network management software that models, plans, schedules and monitors satellite communications and ground station networks. ViaSat has a long history of delivering satellite communications terminals to customers in the United States and Canada; most recently, the company delivered 10 complete ground stations for Australia’s National Broadband Network (NBN) program. Headquartered in Carlsbad, California, ViaSat employs more than 3,400 people worldwide in the areas of technology development, customer service and network operations. For more information, please visit ViaSat at www.viasat.com. Optus is Australia’s leading commercial satellite provider, with the largest fleet of satellites in Australia and New Zealand. 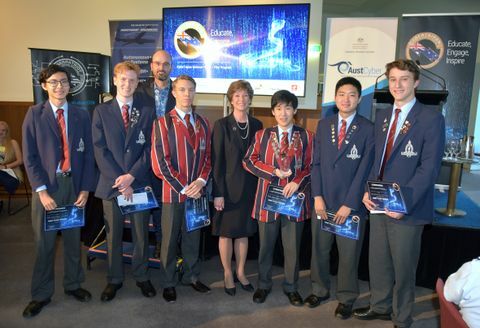 Optus has played an integral role in the Australian Defence Force through the C1 communications satellite as well as operating Australia’s NBN satellites. For more information please visit http://www.optus.com.au/business/satellite.